We share almost everything. Interesting, funny, scary, boring, whatever it is, if it’s not going onto a social media channel, it’s likely to be going out over an IM or chat group. According to Sandvine, Asian mobile users are consuming more than twice the amount of mobile bandwidth than European or American users, so sharing isn’t just likely - it’s practically a certainty. The question is, what is your brand doing about it? There are some companies that are leveraging the mobile-social-era beautifully. 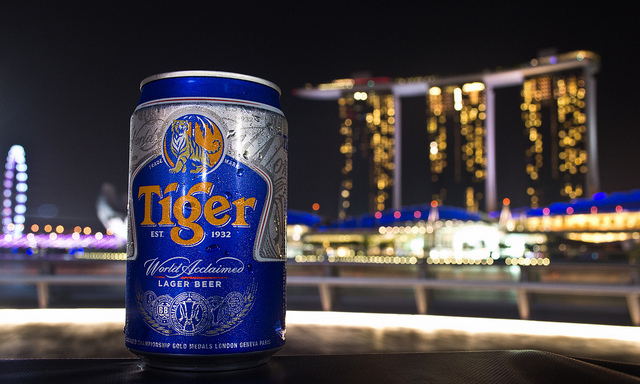 Tiger Beer ran a brilliant city center roadshow in Singapore, everything you’d expect from a beer company - funky music and pretty girls serving free beer. The real genius is that whilst you’re sipping your afternoon beer, the girls are enticing you to vote on Facebook for your choice of entertainment at the next Tiger Part – which they follow with a polite request for your contact details in exchange for a free T-Shirt. Who says no to free beer and T-Shirts? We know that likes and shares alone don’t necessarily equate to success, but with managed engagement and nurturing they can become a great source of brand evangelists and ultimately marketing qualified leads. UOB did a pretty good job of working a lead prospecting system into their most recent campaign. It’s one of the most socially innovative campaigns I’ve seen from an Asian bank. A lovely city center event, handing out free ice-creams, coffee and a chance to win 20,000 SGD - in exchange for publishing your dreams and leaving your contact details. There was a good size queue just to get free afternoon coffee! The dreams were all neatly categorized into sections (education, housing, children, family, etc.) allowing UOB to list build and quickly segment for appropriate nurturing. The best part is there’s no hard selling, the giveaways are (relatively) cheap but fun, and the campaigns are emotionally or intellectually provoking. They make you want share the event, and they help you enjoy the process. In my opinion, these campaigns are considerably more valuable than the traditional hand-out-a-flyer-from-a-booth campaign. Based on the crowds, I think a few other people might agree. Kameel Vohra is based in Asia and passionate about digital marketing and reshaping key account management. Find out more about him here. Read more 'letters from' in our Clubhouse.